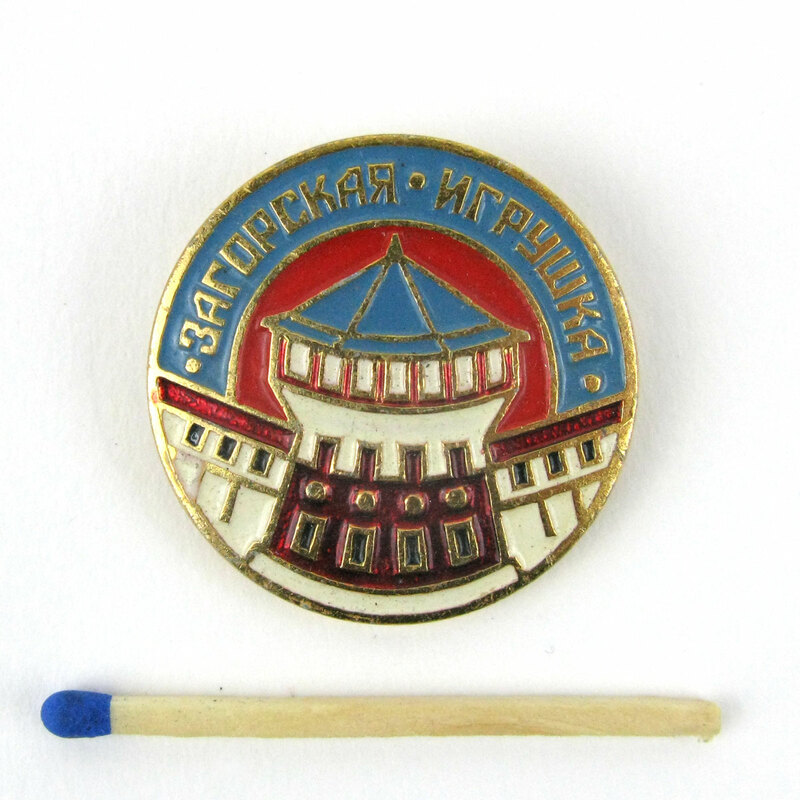 A vintage enamel badge from the Zagarskaya toy factory just north of Moscow. This badge shows one of its toys: a castle tower. In good condition. 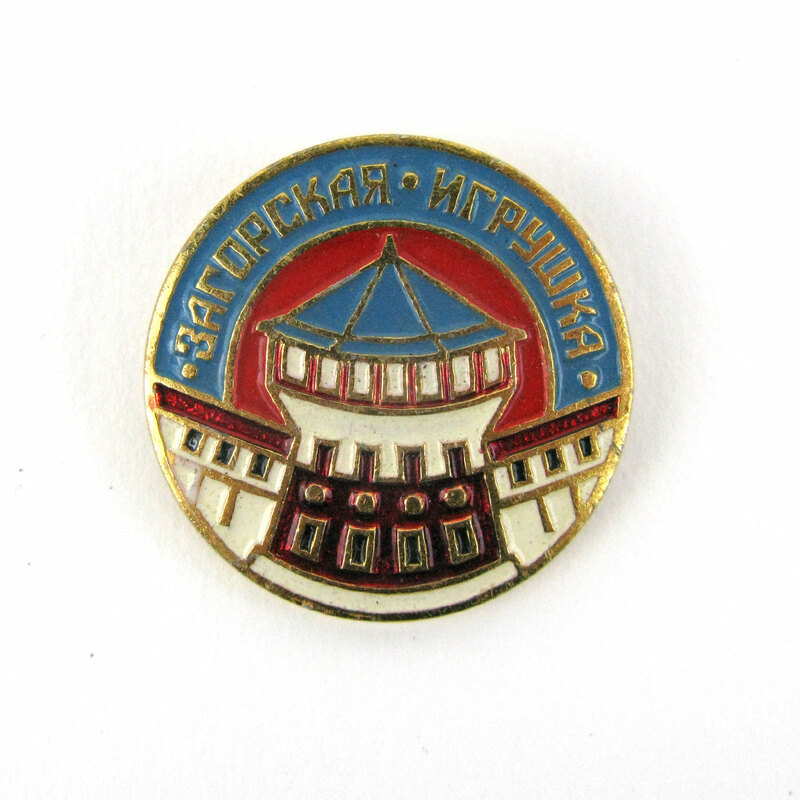 A vintage enamel badge from the Zagarskaya toy factory just north of Moscow. It says “Zagorskaya Toy” on it in cyrillic writing. This factory has been producing dolls, toys and art materials since 1891. 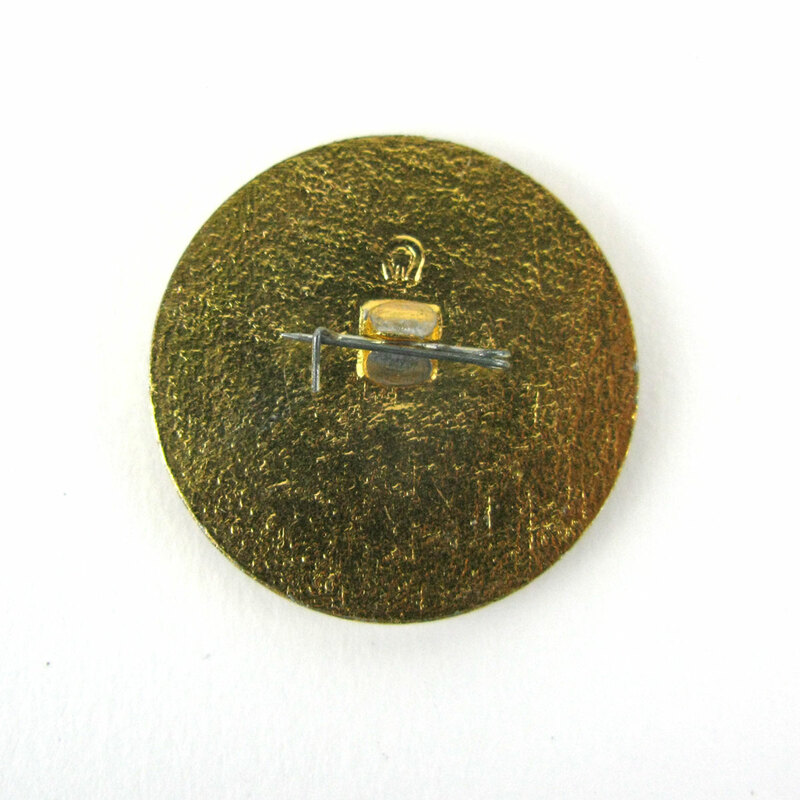 This badge shows one of its toys: a castle tower. In good condition. Lovely and colourful.